The Prime Minister and leader of the Tory party is in a bit of a bind. To pacify rebellious eurosceptics in his party and help win back the support of voters lost to anti-EU rivals ahead of a 2015 election, Cameron in May supported draft legislation promising a referendum on EU membership by the end of 2017. However on the far right flank is UKIP barking at his heels and threatening to take votes from the Tories. Cameron says he will seek radical changes to Britain's role in the European Union, which he says has become too bureaucratic and anti-competitive. This ploy is to win over voters who might be tempted to back the UKIP. Currently the Commission has stated it is looking at cutting some red tape. This just conveniently plays along with Cameron to make out the EU can be reformed in some way. 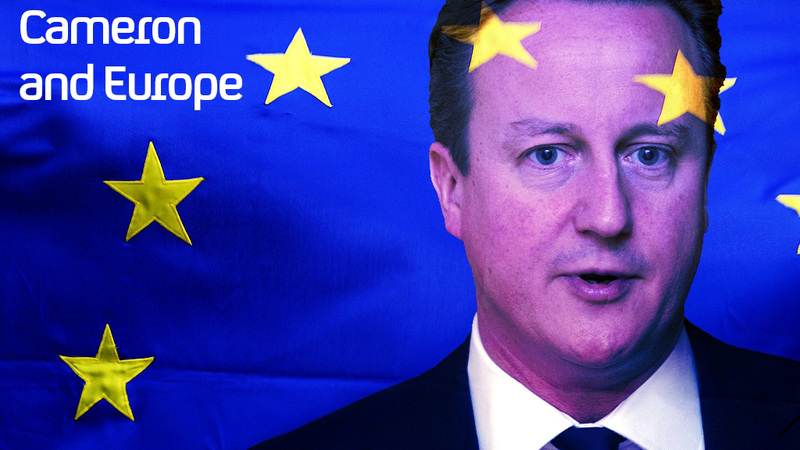 So, what does Cameron propose happens to make Britain's membership more acceptable and head off a referendum? Well, so far there is nothing what-so-ever of any substance that would alter the EU. To radically change the EU would require changes to the EU Constitution (Lisbon Treaty) which in turn requires ratification by all EU Member States raising the spectre of referendums all round. Cameron is certainly in a bind!